Hof van Cleve is in a farmhouse in a rural part of Flanders, where chef Peter Goossens has been preparing his sophisticated dishes since 1987. The low-ceilinged dining room is simple, with white walls adorned with a few modern watercolours. Service was exceptionally good all evening, with friendly, knowledgeable and efficient staff. Bread was a selection of rolls: olive, cheese and bacon, sunflower, baguette and white (18/20). The wine list was very lengthy at 72 pages; we had a 1990 Trimbach Cuvee Frederich Emile (a great year) for EUR 140. We began with three little mini dishes: crab with passion fruit, tomato pickles and mackerel with wasabi, with simple yet clean flavours (19/20). Next was pea soup, Emmental cheese and oil of chorizo (19/20). Next was a perfect mouse of avocado, marinated salmon and cheese in layers on top of one another (20/20). Then we had a tartare of bluefin tuna from the Mediterranean with an anchovy ice cream and a bouillon with a hint of horseradish - this had lovely, clear flavours (20/20). At this point we had not even started the tasting menu proper, but things were certainly looking promising. 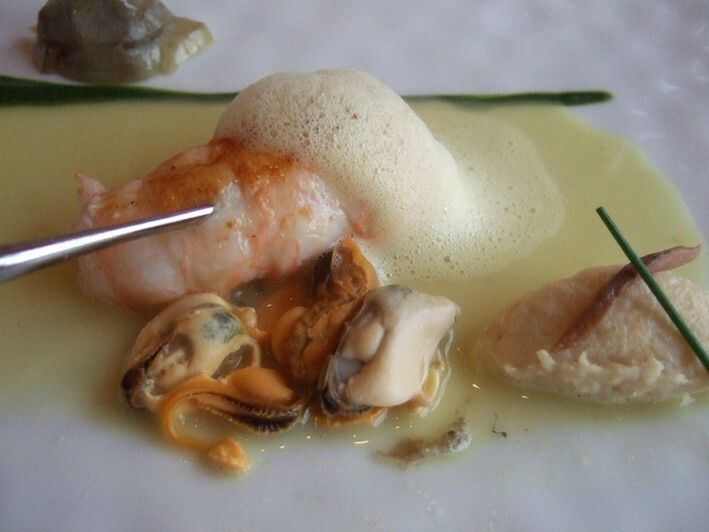 A dish of tiny North Sea shrimps were served with a beef tomato, a stock that came with dry ice emerging from it, and mozarella. 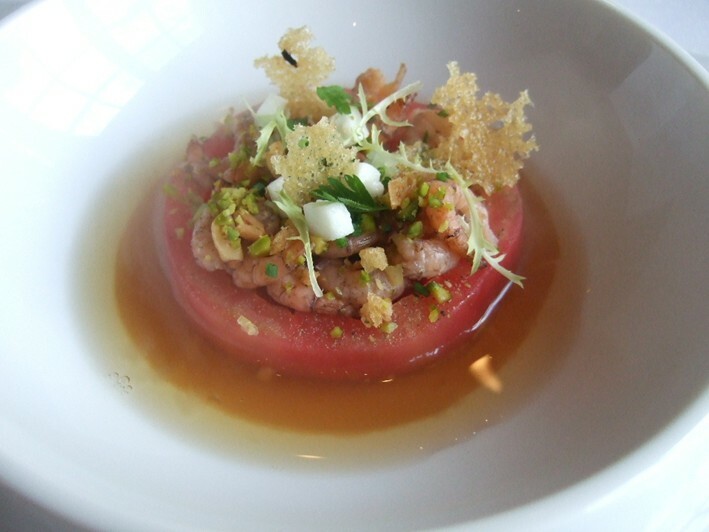 The shrimps were excellent but the quality of the tomato itself was not that great, with rather limited flavour (18/20). 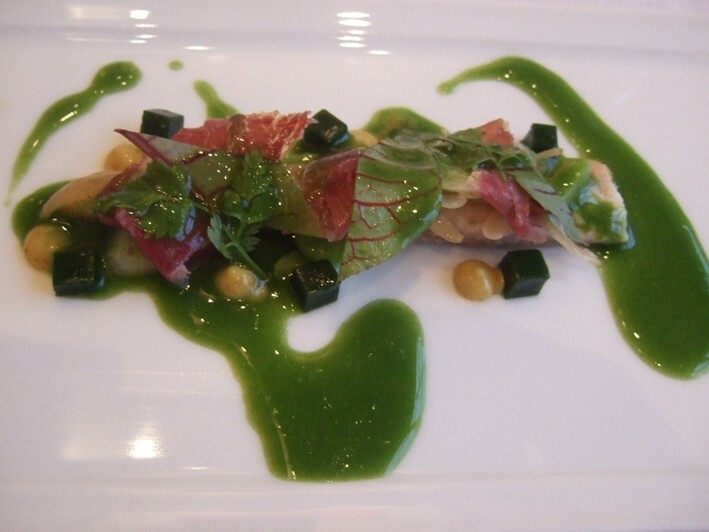 Better was belly of bluefin tuna, from the Mediterranean, with an Asian style soy-based dressing flavoured with lime and red peppers, and garnished with basil, lemon grass and almonds (19/20). Though excellent, the tuna was cooked a little longer than I would have liked, but the fish itself was excellent, so perhaps this is a matter of personal taste. Next was a linguini of squid made from buckwheat with smoked pimenti pepper, a few olives and garnished with a "twiglet", essentially a sliver of pasta with olive oil. There was a superb Parmesan sauce poured onto the pasta, and the squid was very delicate (20/20). 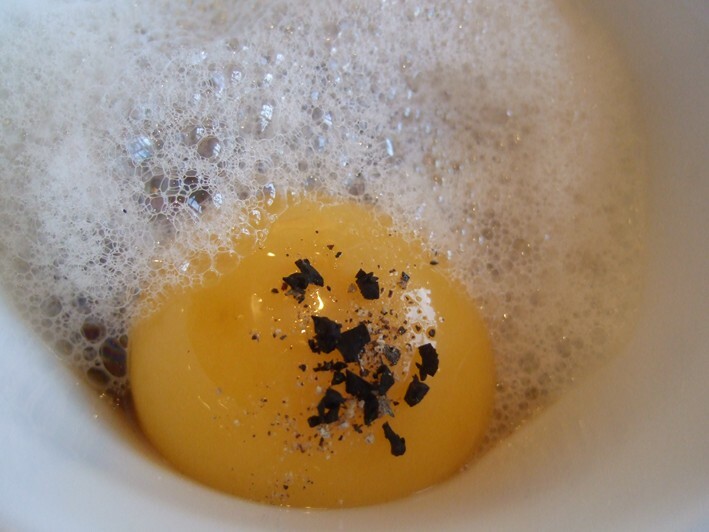 This was followed by a slightly odd dish, a cup of superbly flavoured and tender oxtail with cream of cauliflower, black truffle and a foam of mushroom - this was all great, but it was then topped with a cold egg yolk. This dish would have been 20/20, but I am going to mark it down for the egg yolk, which spoilt the dish for me (18/20). This was followed by langoustine "guilvinec", the shellfish coming with artichoke, rocket and a very lightly flavoured curry oil, along with a brandade of cod and a couple of excellent mussels. The only weakness in this dish was the artichoke, which was of merelyvery good quality (19/20). Wild sea bass was cooked very well but to be honest was not quite as good in flavour as one I cooked earlier in the week at home, which was a little odd. This was served with a bouillabasse, cream of zucchini and basil and a remarkably well flavoured sprig of rocket as garnish (17/20). 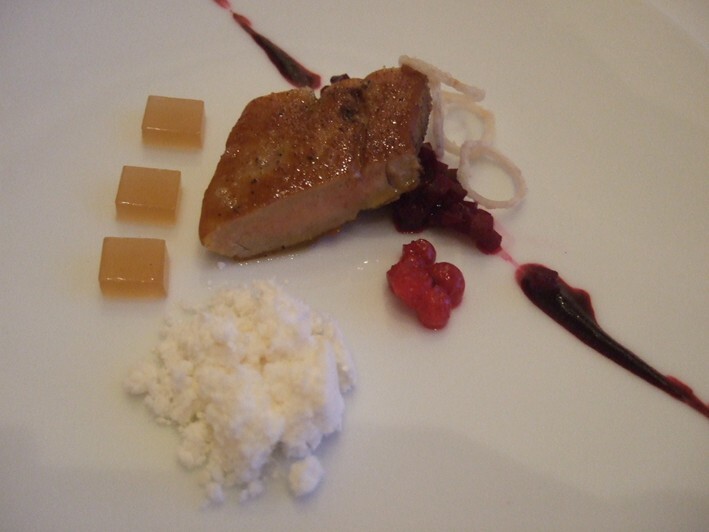 Warm foie gras was superb, served with beetroot, powder of Gueze beer and a blackcurrant jelly; the beetroot was a clever counterpoint to the richness of the foie gras (20/20). Anjou pigeon was very nicely cooked in sous vide style so was very tender, served with peas, cherries and chanterelle mushrooms. 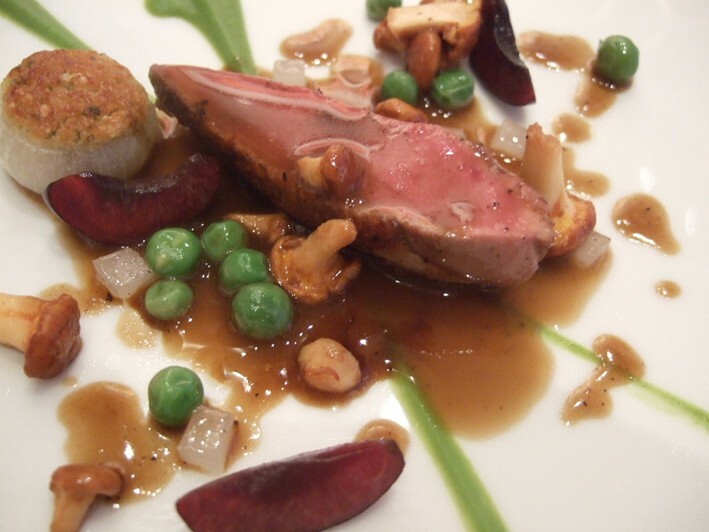 The skin was cooked separately and was crisp, and on the side was a superb confit of the pigeon with great flavour; within the confit was the pigeon liver (20/20). 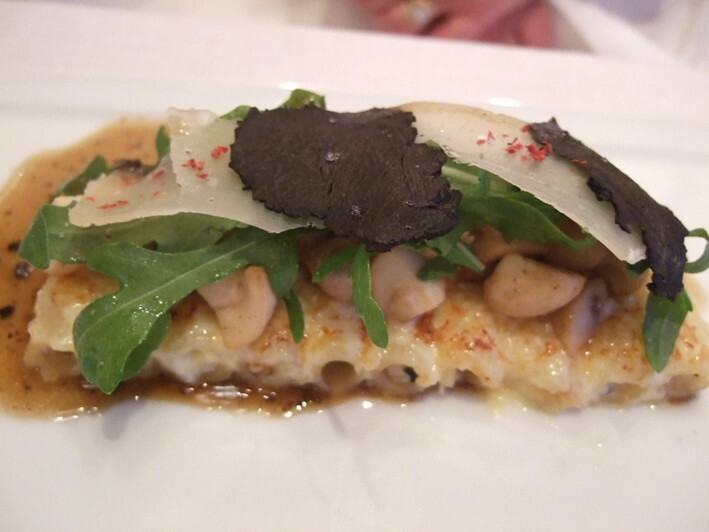 My wife had a fabulous Parmesan macaroni with black truffle at this point (20/20). At this point we moved on to cheese (which is extra i.e. not on the tasting menu). I am glad that I did, as the cheese board was superb, one of the best I have seen anywhere. Many cheese were from Bernard Antony in Alsace, with some smart additions. It was nice to see a few Belgian cheeses, and they had substituted Antony's Epoisse (which is perhaps his weakest cheese) for a different one that was in beautiful condition, runny but not too strong. Coulommiers was lovely, as was creamy Brillat Savarin, Forme d'Ambert and 48 month aged Comte. 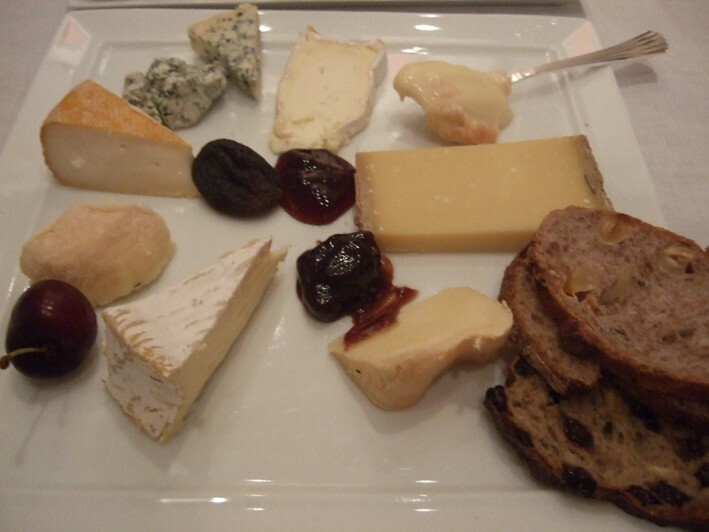 The condition of the cheeses was faultless, served with walnut and raisin bread (20/20). Desserts started with lovely cherries, served with a candyfloss of caramel and nuts and lemon sorbet. The tastes were very intense (20/20). Next was white peach with jelly of green lime, pineapple, passion fruit and raspberry cream and almond ice cream; this was a fine dish, the acidity of the lime a nice balance to the richness of the cream (20/20). The final dessert was Ecuador chocolate in a powdery form, with a coulis of blackberries, chocolate ice cream and a mayonaisse of tonka nuts with a hint of mint in the mix (18/20). Coffee was superb, served with an iced praline, mint eclair, perfect warm Madelaine, A macaroon with chocolate and a hint of curry (better than it sounds) and a jelly of mixed fruits. 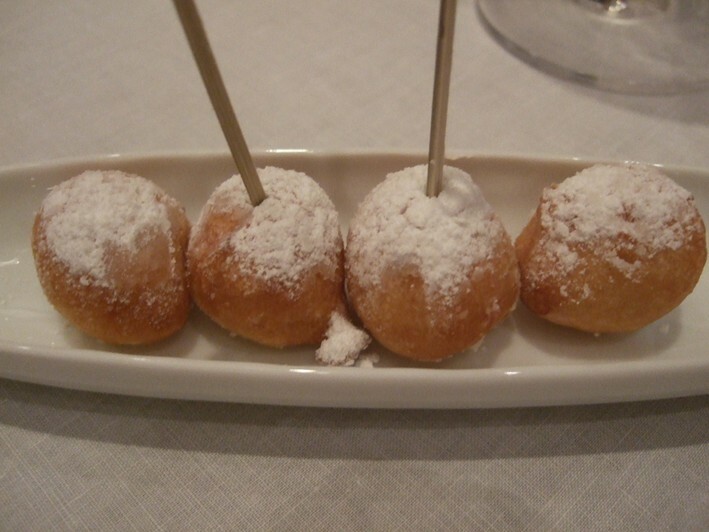 Best of all were perfect beignets, little spheres dusted with icing sugar - doughnuts of the kind Homer Simpson can only dream of (20/20). This was a really fine meal. My only criticisms could be that some of the vegetables (tomato, artichoke) were of ordinary quality, as was the taste of the sea bass, but otherwise ingredients were excellent, and the cooking technique was magnificent. 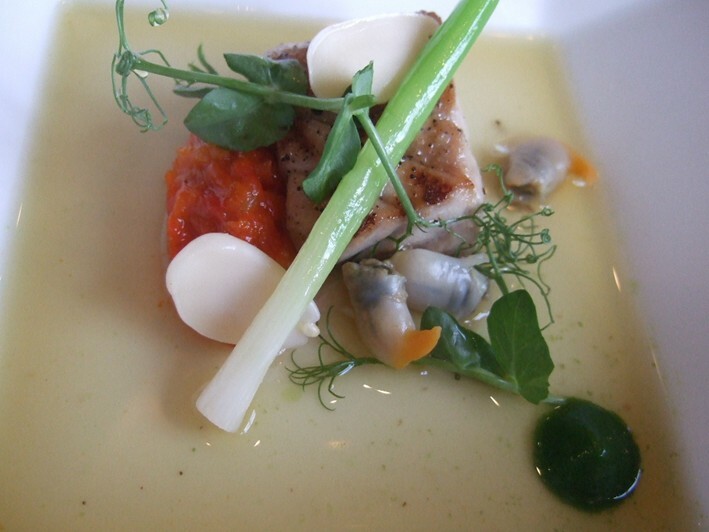 Flavours were clean and combinations worked well, whether conventional or innovative. A really superb restaurant. If you are going to visit then stay in Gent (aka Ghent), which is a beautiful place that I found every bit as pretty as better known Bruges. The hotel Harmony was very pleasant, in the heart of town. It is a 25 minute drive from Gent to Hof van Cleve, most of which is spent navigating the intricate one way system of central Gent. I would not say i have visited many restaurants where expectations were this high and met in almost every aspect. The food was sublime and way above my last 3 stars, Ducasse at The Dorchester. I found the people very friendly and the sommelier, Peter Verheyde, is surely one of the most interesting characters I've ever met. We dined at Hof van Cleve on December 4, 2007. We stayed in Brugge and dined at De Karmeliet the next evening. 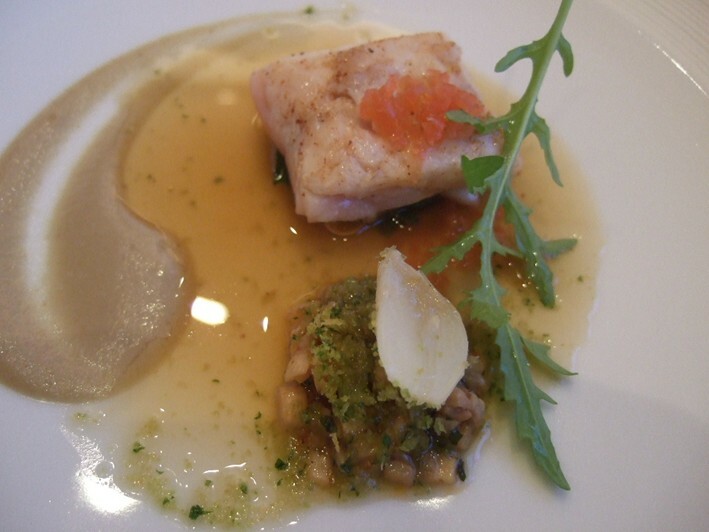 We had the ten course 'Freshness of Nature menu'. 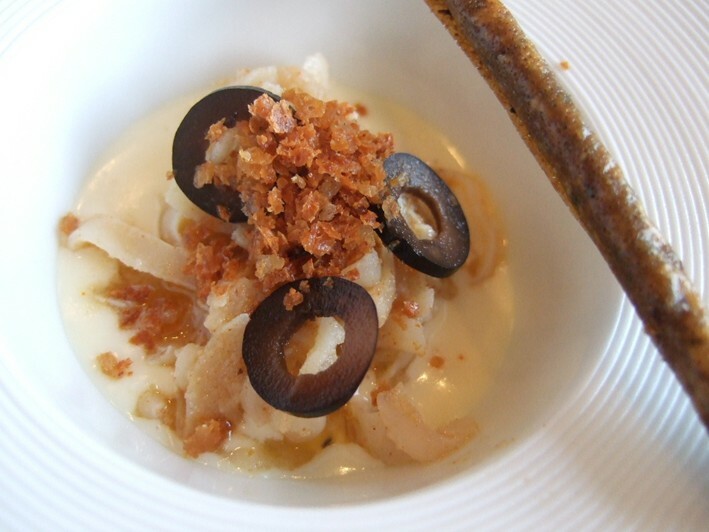 Some of the dishes were fantastic, especially noteworthy were the razor clams. However, as a group we found most of the dishes seemed over complicated with too many ingredients. Also, each dish was supplemented by a sauce or broth added by the staff at the table. The sauces did not burst with flavor like at Rochat or Roellinger (my two favorite restaurants). This is a wonderful restaurant, but not "the best of the best" from my perspective. 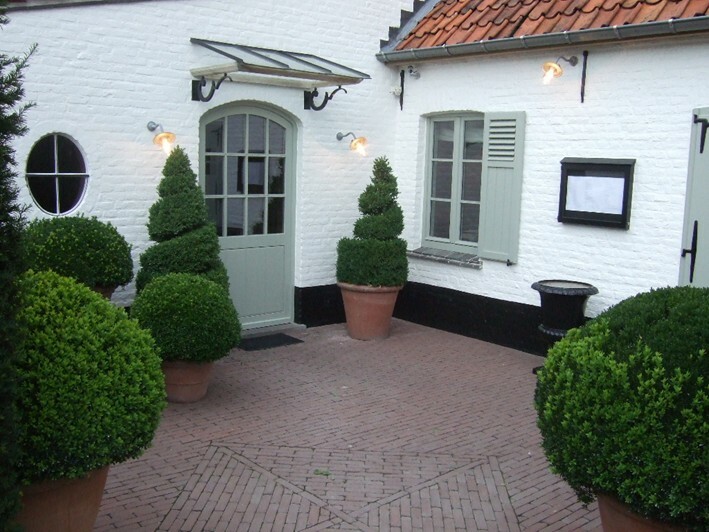 We were recently fortunate enough to dine at Hof Van Cleve, Peter Goossens’s restaurant in Kruishoutem a very small village in the heart of the Belgian countryside. We stayed in Ghent the nearest big city and took a taxi to the restaurant where we were greeted by a small army of staff. We were accompanied to a table on a beautiful terrace overlooking the most stunning panoramic view where we were able to peruse the menu while enjoying a glass of champagne. We selected the ‘discovery’ taster menu and we were led though two lovely dining rooms to a third well spaced and beautiful decorated room where we were seated. Penny’s hand bag was then given a special low seat all to itself, which automatically ensured a maximum rating from at least one of us! They had very recently updated the menu and therefore there was not an English menu available but not only was Penny able to translate, the staff all spoke English to a high standard and took care in showing each nuance. Unfortunately this does mean that I do not have a dish by dish analysis but I can assure you that each one was of the highest quality and each showed a true spark of genius in their own individual way. Dining at Hof Van Cleve was a fantastic experience. The décor (and overall location) was elegant and understated; the service was delightfully unobtrusive and at the same time exceptionally attentive and the food was sublime. Having been sorely disappointed by several ‘highly rated old school’ restaurants in Mainland Europe it was wonderful to find such a beautiful, refined, modern restaurant that must be ranked with the very best.